It’s been so fun to share our TOP Nine Monthly images over on instagram and loop with other photo friends new and old! If you’d like to join us just let me know. We coordinate via a fb group and this 9 square grid is on there to download. You’d just need to know how to use photoshop in order to fill the grid with your monthly favorites. 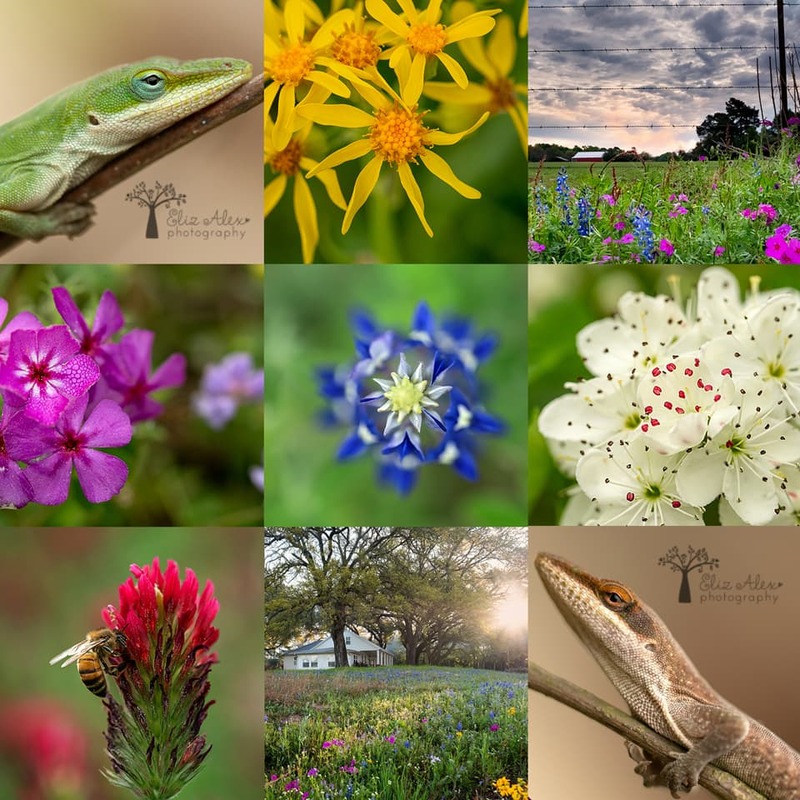 This March in The Woodlands, we had all kinds of wildflowers blooming in fields and on the roadsides. The little white house in the wildflowers field is my friend’s and it was built in 1861! It’s quite an amazing home on a fabulous piece of property. So let me tell you about this little lizard. My older son is 12 and it was incredible to bond with him by taking care of this little backyard lizard. We were in the backyard, and he found this little 3 inch lizard stuck in our outdoor sink. My son moved the lizard to safety in a tree flower pot, we watched the lizard drink off some water droplets on the foliage, climb the trees, and over time he seemed to get less anxious about us being so close. The neatest part of our observation was watching him change colors from a bright green to an orangey brown.